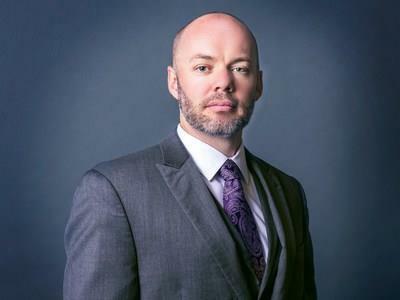 PHOENIX, April 15, 2019 /PRNewswire/ -- Attorney J. Blake Mayes has dedicated his professional career to guiding individuals and their loved ones through deeply difficult legal journeys in criminal courts across Arizona. His reputation among clients, colleagues, and the community has earned him a number of distinctions from leading industry organizations. His latest: Selection to the prestigious list of Southwest Super Lawyers. About Super LawyersOne of the legal industry's most trusted rating services, Super Lawyers has become a hallmark for identifying top practitioners in the profession. Through a lengthy selection process that begins with nominations and professional / ethical vetting, Super Lawyers relies not only on its proprietary methodology for evaluating over a dozen criteria of success, but also the opinions of leading lawyers. The selection process' final step is a meticulous peer review conducted by a Blue Ribbon Panel of Bar and Judiciary members who have themselves been previously recognized by Super Lawyers, and are in the best position to know what qualities signify legal talent. When final annual listings are published, no more than 5% of all practicing lawyers in the region (Arizona and New Mexico) are included. That's a testament to the respect attorneys have cultivated among their peers, and the reputation they've built in their communities. About J. Blake MayesJ. Blake Mayes was named to the 2019 Southwest Super Lawyers list for his work in Criminal Defense, and Personal Injury – General. He was previously named to Super Lawyers list of Rising Stars™ for four consecutive years (2015-2018). Recognized among "The Top 100 Trial Lawyers" by The National Trial Lawyers, Mr. Mayes has become known for his exceptional ability to communicate with clients, prosecutors, juries, and others in the courtroom. He's also earned acclaim for his intractable advocacy of clients' rights and futures in cases ranging from misdemeanors and DUIs to the most serious state and federal felony offenses. Mr. Mayes is also an active volunteer in local communities in and around the Phoenix area, participating in Pro Bono work and dedicating time to other charitable activities. Mr. Mayes and the firm have also established an annual college scholarship to help Arizona high school students in need of financial support fund their higher education. J. Blake Mayes is a nationally recognized Phoenix Criminal Defense Attorney and a Principal at MayesTelles. Comprised of top-rated trial lawyers, former prosecutors, and a team of professionals who prioritize clients' needs, the firm has secured thousands of positive results for clients across the Greater Phoenix area and the state of Arizona. More information about the firm can be found at https://www.mayestelles.com .